Effective early childhood learning depends on good nutrition. As many studies have demonstrated, eating breakfast contributes to a child's ability to pay attention, to think quickly and to get along with others. Children who regularly eat breakfast think faster and more clearly, solve problems more easily and aren't as prone to be irritable and fidgety in the morning hours. For all of these reasons, breakfast plays a starring role in Valley Child Care’s child nutrition program. Breakfast is offered at no additional charge and you even have the option of enjoying breakfast with your child! 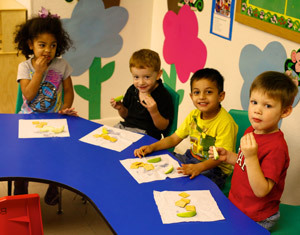 Valley Child Care’s complete child nutrition program also includes morning and afternoon snacks and lunch. All are nutritionally balanced, include the required dietary components and conform to recommended portion sizes. 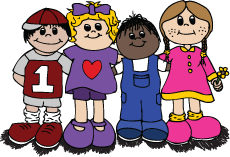 Our policy is to encourage children to try every food group that is offered. Your child may also have a second serving of his or her favorite foods.